The Los Angeles Police Pro­tective League this week demanded that Stan Kroenke, the billionaire owner of the Rams, pay the full cost for necessary police services to ensure public safety at the team’s home games as long as it plays at Los Angeles Memorial Coliseum. “The estimated cost to provide police protection at Ram games is approximately $2 million a year,” LAPPL spokesman Dustin DeRollo said. 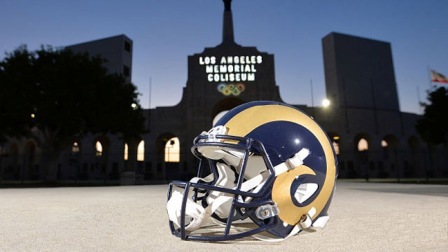 The temporary location of the Rams in Los Angeles has created a need for more than 200 police officers to ensure adequate safety at every home game at the Los Angeles Memorial Coliseum, DeRollo said. A stadium scheduled to open in 2019 is being built for the Rams in Inglewood. “This comes at a time when the LAPD has critically low staffing levels and the city of Los Angeles has experienced a dramatic increase in violent crime and property crime over the past two years,” DeRollo said. The LAPPL union represents the more than 9,900 sworn members of the Los Angeles Police Department.